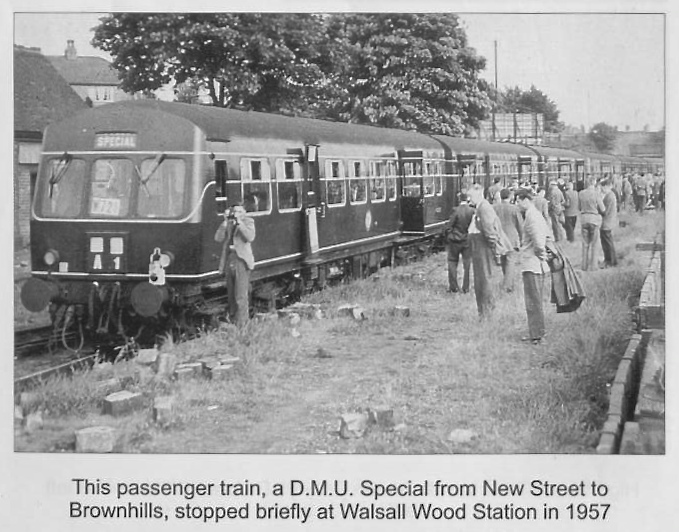 These folk were on one of the last passenger trains out of Walsall Wood in 1957 - I bet they knew most of the answers...Photo taken from the wonderful 'Memories of Old Walsall Wood' by Bill Mayo & John Sale. Today, I’ve assembled the second instalment of David Evans’ excellent local quiz. A couple of weeks ago he submitted a huge list of local history questions to test how much readers know about local history, and hopefully, it will serve to provide a point-by-point guide to our past. I’ve added the quiz to the tabs at the top of the page, so that it’s always accessible, and I’ll publish the final part next week. I’m hoping this will fire up conversation, so please feel free to comment, reminisce, argue, jeer and just generally chew the fat over the questions raised. Many of the younger readers and newcomers to the area won’t have a clue what we’re talking about (hell, I only know 80% of them…), so this is an opportunity for discussion and sharing of memories.